Marketers have accepted that social media is now a fundamental part of brand building but putting that theory into action is still a challenge as many struggle with how to use social engagement effectively. Social efforts do not represent a standalone solution and need the scale and consistency of paid and owned media. 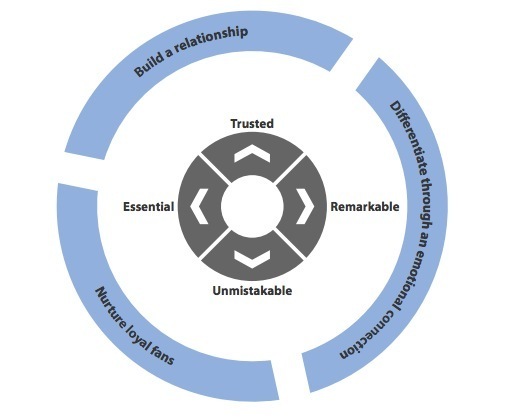 In this report, part of the Adrants whitepaper series, Forrester identifies three ways in which social media can help marketers' brand building efforts by: 1) building a relationship to become more trusted; 2) differentiating through an emotional connection to become more remarkable and unmistakable; and 3) nurturing loyal fans to become more essential. Download this report now and learn how social media can positively change your brand building.